Most of this 2003 epic was shot in New Zealand but there were still a few interesting scenes filmed in the Kansai region of Japan. 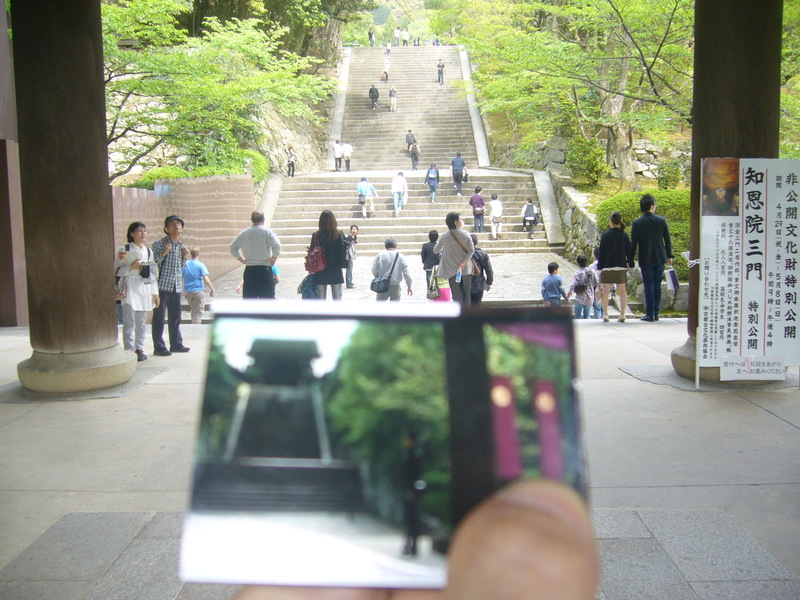 12 minutes into the film sees the appearance of Chion-in Temple in Kyoto albeit with a bit of CGI. 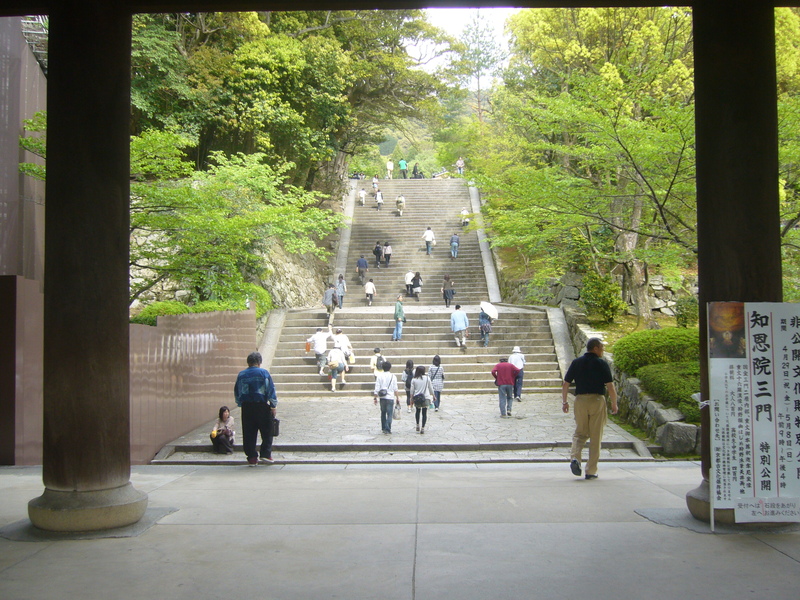 Although the steps lead to a temple it is not directly at the top or as dominating as the one in the picture (below) Four men including Tom Cruise are seen climbing the steep steps which are on the other side of the main entrance gate which is protected by two guards in the film. 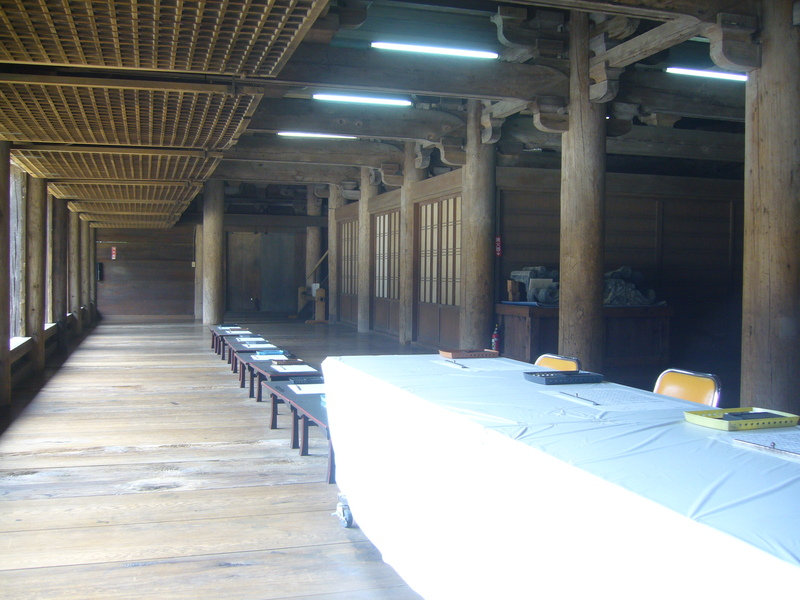 The action moves on to Daikodo (Main Hall) at Engyoji temple on the 41 minute mark which is where Algren (Cruise) meets Katsumoto (Watanabe). 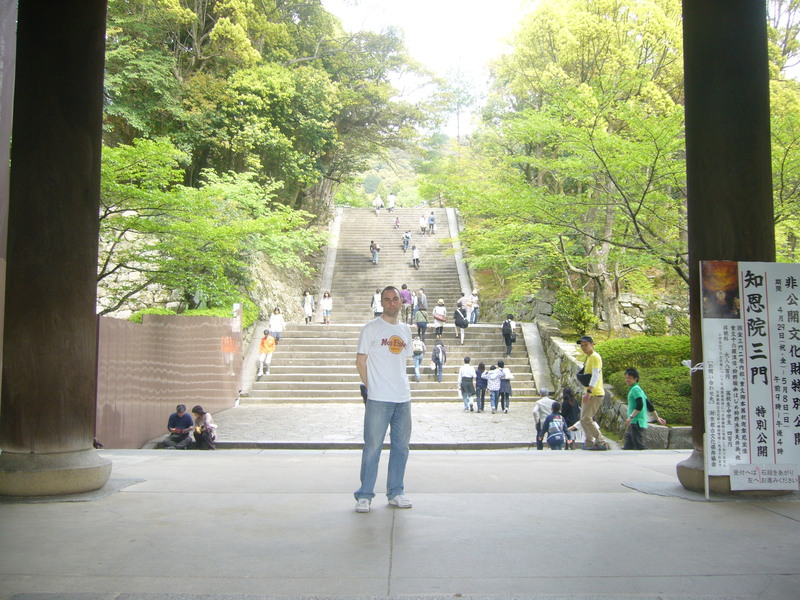 This is at the top of Mount Shosha in Himeji (west of Osaka) and provides the hilltop backdrop for Katsumoto’s mountain village. 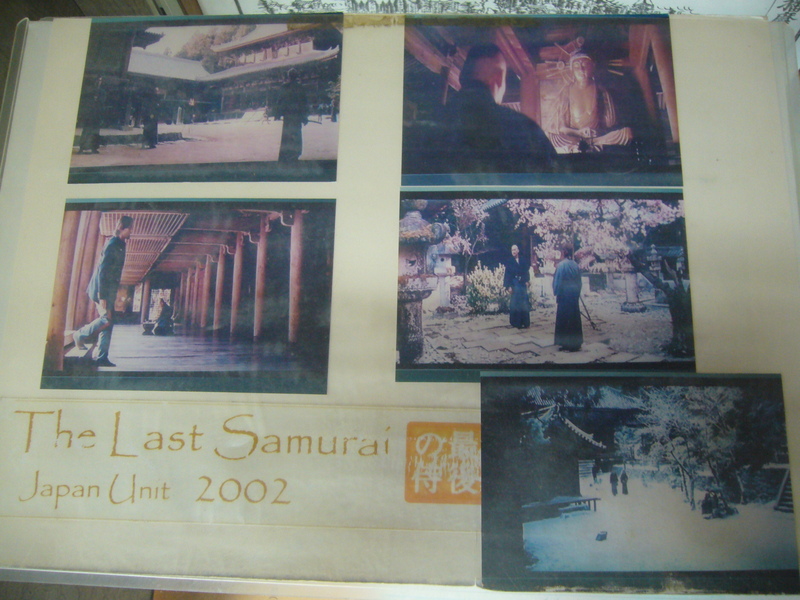 There is even a laminated picture card among the information pamphlets on the little souvenir shop counter in this building and it features five screenshots from ‘The Last Samurai‘. 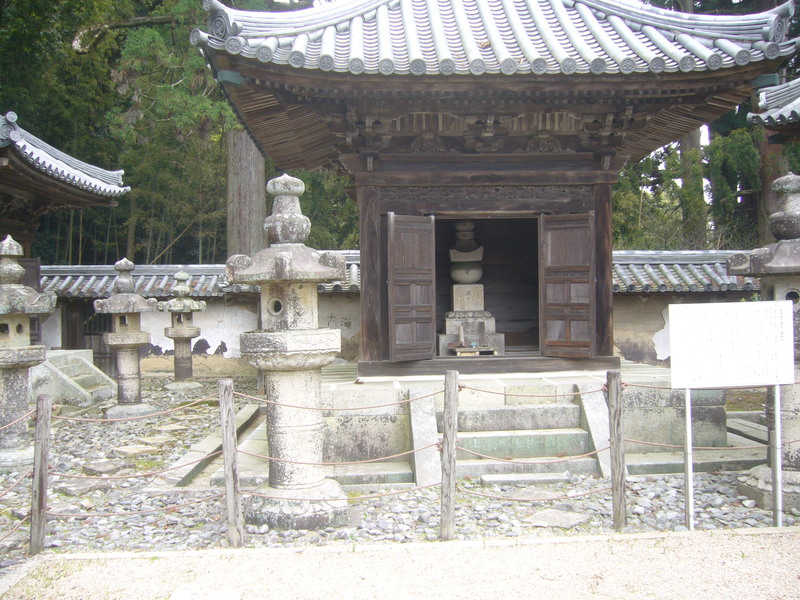 The garden temple is opposite the wooden bit featured above and appears after 71 minutes as Watanabe and Cruise talk about something or another. The DVD extra’s reveal that it wasn’t filmed during the cherry blossom season and that those flowers were added to the place. 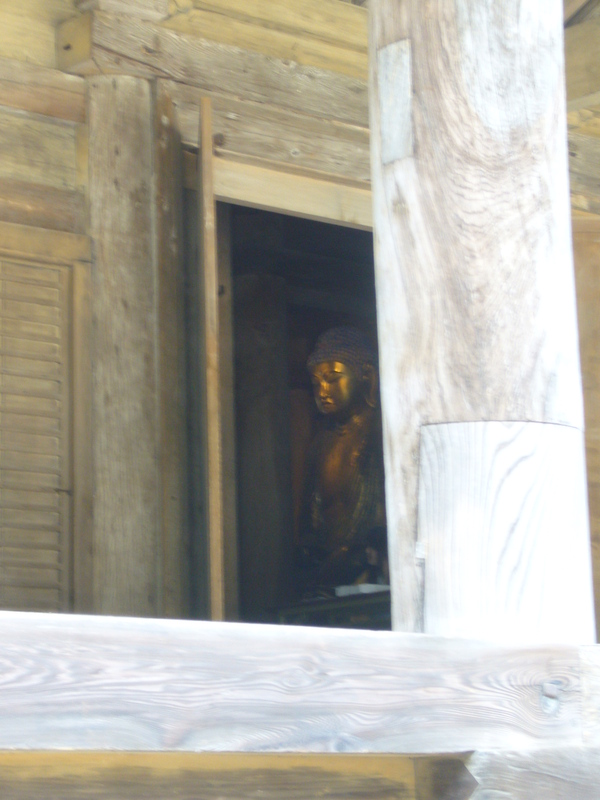 The Buddha seen below also features for a few moments. No photos can be taken inside (I presume) so I settled for a sly zoom-in one from outside. 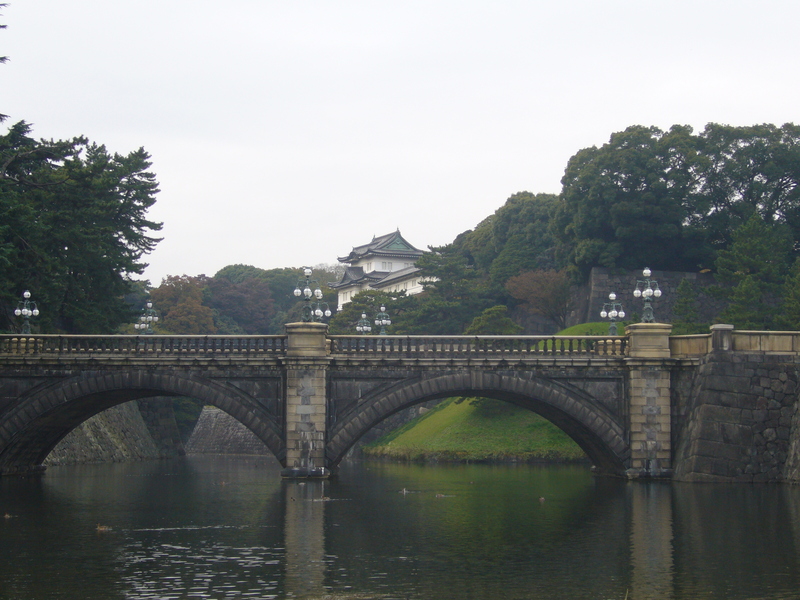 It’s not all Kansai though as there is a very brief shot of the Imperial Palace in Tokyo on 79 minutes. Its the typical picture postcard type view of the place which I have seen and photographed many times over the years. How to get to Engyoji: Take bus #8 at Shinki Bus Terminal East gate of Himeji Kita station (if coming from JR Himeji station then exit the station and turn left and you will see the bus station across the road). Get off at the final stop which is ‘Shosha Ropeway’. A special ticket (1300 yen) gets you return bus and ropeway tickets. 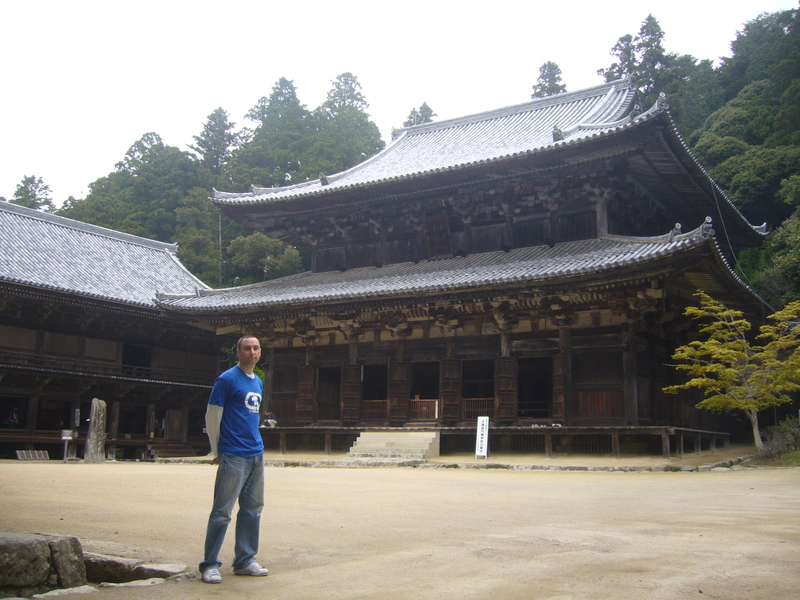 The temple entrance is 500 yen payable when you get to the top of the ropeway. 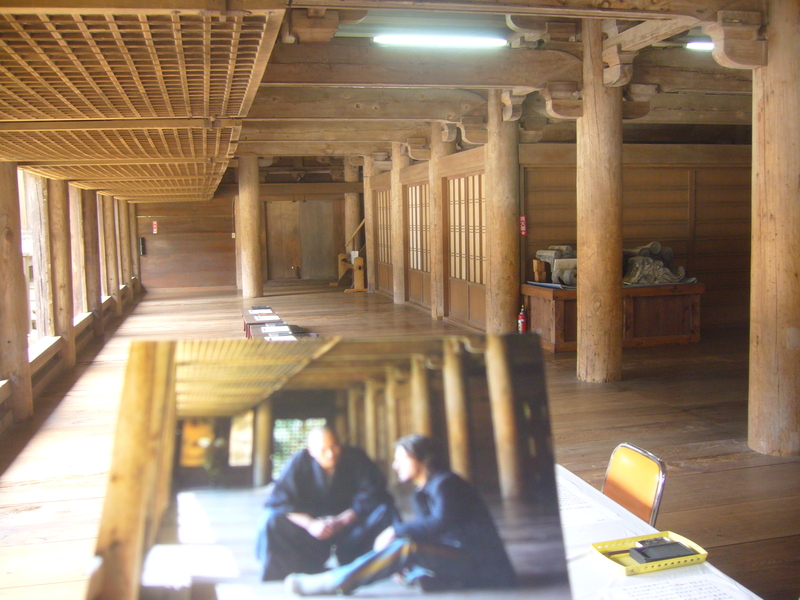 This entry was posted in Japan Filming Locations, Movie Locations and tagged how to get to Engyoji, how to get to mount shosha, Imperial Palace, the last samurai chion-in, the last samurai engyoji, the last samurai filming locations, the last samurai Japan filming locations. Bookmark the permalink.